Feb. 1, 2015, 11:30 a.m. Feb. 1, 2015, 11:30 a.m.
With Valentine’s Day approaching, we thought you all deserved a treat. 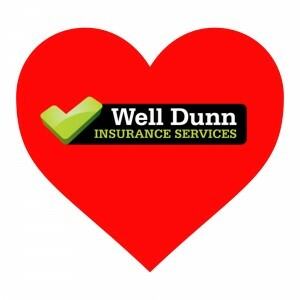 So if you love Well Dunn, like us on Facebook or follow us on Twitter before February 14 2015 and you could be the lucky winner of a £50 Love2Shop voucher. If you already like us on Facebook, why not follow us on Twitter, or vice versa. If you like/follow us on both channels you will be entered into the prize draw twice, so all the more reason to Show Well Dunn Some Love. If you enter the competition on Facebook and Twitter, you will be entered into the draw twice. £50 worth of Love2Shop vouchers, which can be used at shops such as Waterstones, House of Fraser, Argos and HMV and attractions such as Alton Towers, Thorpe Park and Legoland. The prize cannot be exchanged for cash or another item of the same value. The vouchers will be posted to you. The competition will end on Saturday February 14, at 11.59pm. If you are the winner, you give permission for us to publish your name, after we have informed you of winning. The competition is not open to Well Dunn Limited staff.